I've found some awesome goodies for the give-away! 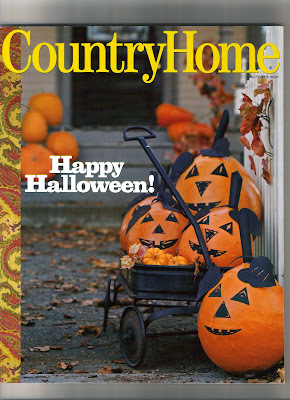 Country Home Magazine was one of my all time favorites. I was in total disbelief when they stopped publication. I would have gladly paid what they needed for a subscription... I loved it that much. I did save my copies, and they are still great inspiration. 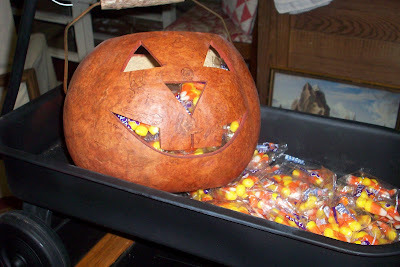 Below is the October 2007 issue, that was full of fun ideas for Halloween and fall. took her cue for a fun candy display from the cover shot. It was a real favorite, while it lasted. ...so this year I decided to do the same. and spray painted it black. but you have all seen one. It had a lot of dents and was pretty well loved. filled with pumpkins and mums. or old pieces in a new way. then I'll have a few photos to share of the front porch. Have fun with your fall decor! oh I just love your wagon! I too miss Country Home! I'm sure we have that issue tucked away somewhere. Now that my mom lives with me we have them all! Hi Debra....thanks for stopping by my blog today! I love your little wagon! I thought of you today....I was driving home after visiting the pumpkin patch and saw some sheep grazing in the pasture....I remembered your post on how much you love sheep.....I wanted to get a picture for you, but couldn't get a good shot. Hope you are feeling better! We had hoped to come to Missouri this fall, but it's not going to happen....maybe after the first of the year! I'll certainly let you know! What a darling presentation, Debra. 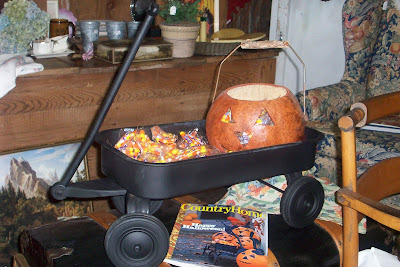 Love that BLUE pumpkin ... hope it wasn't a vintage wagon, altho it is cute painted black. Country Home was my favorite too, I still miss them...but I frequently look back on the old copies that I've saved through the years...and I have a bunch!!! I love it Debra! That is perfect for a Fall display. I miss Country Homes so much. I have every issue as well and love to go through them again and again. I love to change things for the seasons too! Except I either start early and then loose my mementum and everything is half finished or I start so late that everyone is already moving on while I am still trying to catch up :-) Ah well, it keeps us busy and entertained I guess. Debra, that is so cute!!! what a fun idea!!! I love the wagon idea, you did a great job on yours. It's so festive and whimsical! Debra, your wagon is so cute. I wish still had my Country Home issues intact. I'm one to rip out inpiration pages then pass on whats left!I never imagined it would just disapear like that.